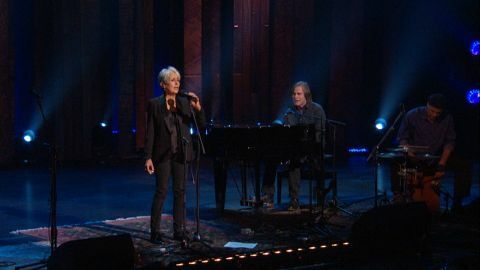 Joan Baez and Jackson Browne sing “Before The Deluge,” a song written by Jackson Browne, during the Joan Baez 75th Birthday Celebration at the Beacon Theatre in New York on January 27, 2016. 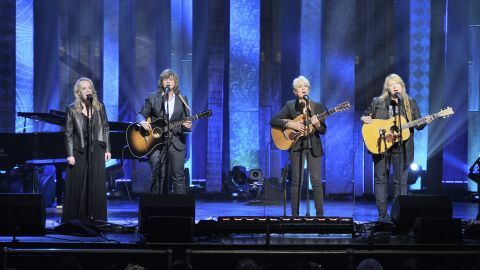 Joan Baez, Indigo Girls and Mary Chapin Carpenter sing “The Water Is Wide,” a traditional song rearranged by Joan Baez, during the Joan Baez 75th Birthday Celebration at the Beacon Theatre in New York on January 27, 2016. 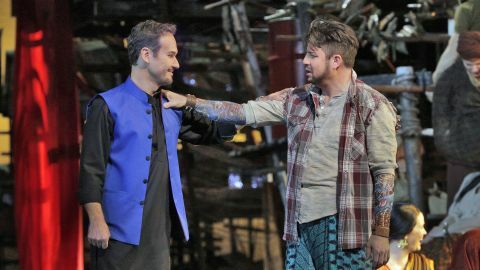 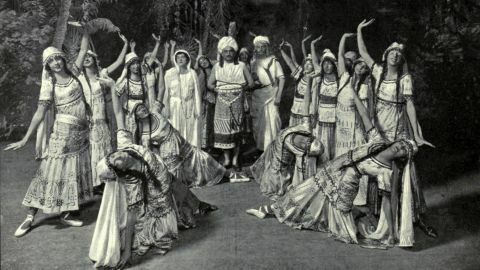 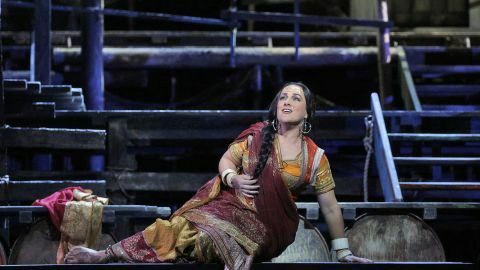 Watch a preview of GP at the Met: Pêcheurs de Perles (The Pearl Fishers). 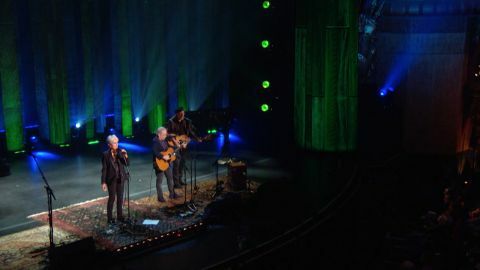 Joan Baez and Paul Simon sing “The Boxer”, a song written by Paul Simon, during the Joan Baez 75th Birthday Celebration at the Beacon Theatre in New York on January 27, 2016. 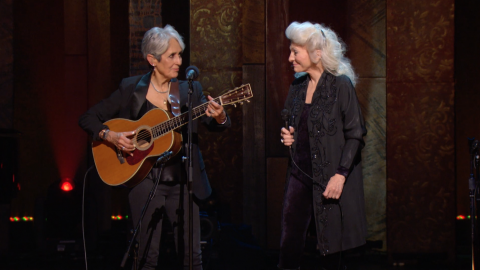 Joan Baez and Judy Collins sing “Diamonds and Rust”, a song written by Joan Baez, during the Joan Baez 75th Birthday Celebration at the Beacon Theatre in New York on January 27, 2016. 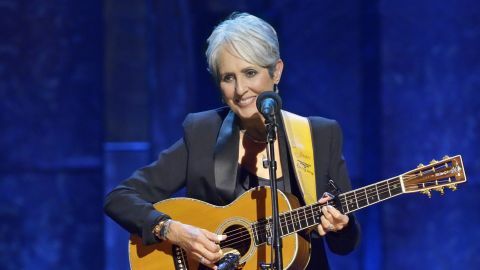 Watch a snippet of Joan Baez sing ‘Forever Young’, a song written by Bob Dylan, during the Joan Baez 75th Birthday Celebration at the Beacon Theatre in New York on January 27, 2016.